After releasing my Arduino library to read Sega Controllers, I decided it might be fun to create a suite of such libraries for reading other retro controllers. So today I’m introducing my new AtariController Arduino library on GitHub. 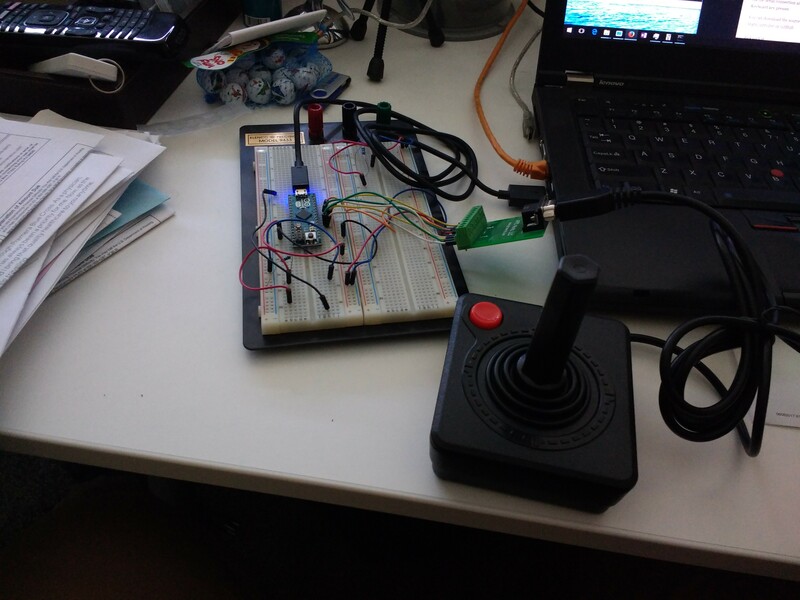 This initial release only supports the classic Atari 2600 joystick, but I hope to add other controllers in the future. The code is provided as a proper Arduino library, making it easy for Arduino enthusiasts to use in their own sketches. As with SegaController, I also include two examples, one which reports the button states via the serial port (good for testing) and one which sends Keyboard key presses (good for driving other software). And of course, I’ve created some documentation of my own in the AtariController wiki at How To Read Atari Controllers.